Marina Gržinić has described “the Former East” as a spectral frontier that doesn't divide, as frontier normally does, but rather allows for a repetition and reproduction within itself of the modes of life (biopolitics), modes of death (necropolitics), structures of governmentality, institutional control, system of knowledge and regimes of aesthetics and contemporary art and theory from “former” Western Europe (Gržinić 2013, 208). 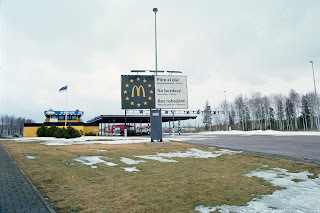 The open borders and absence of difference (or the absence of Eastern Europe itself) can be illustrated very well by a McDonalds advertising banner, that could be spotted 2 years ago on the Estonian-Latvian border in Ikla. 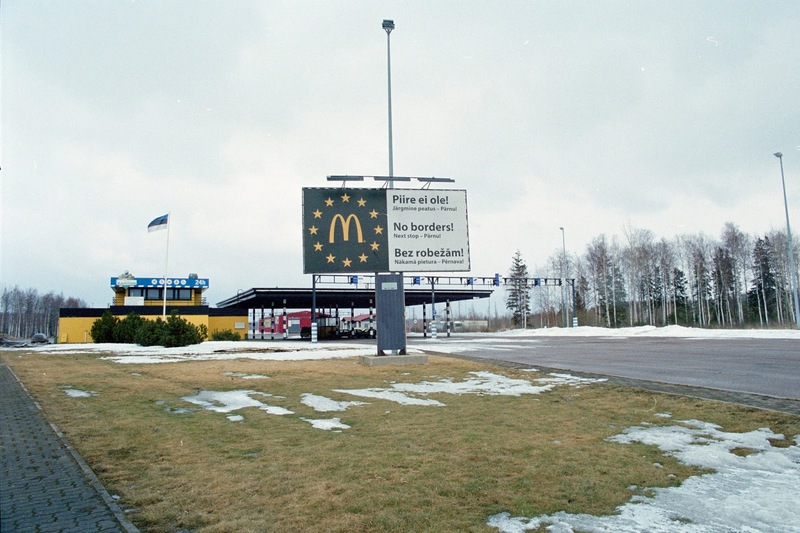 The banner had the image of the M-logo, that was surrounded by the stars from the flag of the European Union. Next to it was the slogan: “No borders! Next Stop – Pärnu”. Such cynical honesty is one of the symptoms of Eastern Europe – the polygon of things that are not possible in the West. Here in our freedom even global corporations can be honest about borders being open to the global capital and shut for wrong passports and the poor.